7-blade composite full feathering reversing propeller for General Aviation Airplanes is in certification testing. Beginning of May 2018 MT-Propeller tested the new UNDUCTED PROP FAN, how MT likes to call the 7 bladed prop, on a Pilatus P-12 powered by a PT6A-67P. The flight tests showed that the 7-bladed prop reduces the noise level clearly and the performance tests showed very promising results. MT-Propeller is in technical talks with the turbine engine manufacturer for customizing the gear box to reduce the fuel consumption, to get the best out of the UNDUCTED PROP FAN. 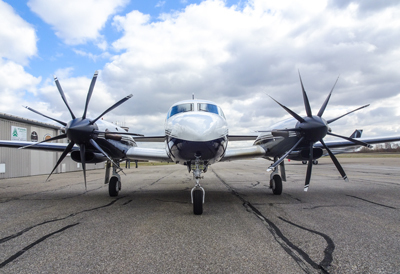 Back in October 2016 MT-Propeller egineers and test pilots started flight testing the 7-bladed propeller on a Piper Cheyenne powered by the PT6A-135A turbines and the entire system performed with outstanding results. The endurance tests for certification were successfully performed on a turbine test bench for 3 months and 110 hrs. All test bench tests inclusive flight testing have now accumulated more than 250 hrs of operation on the 7 bladed prop series. 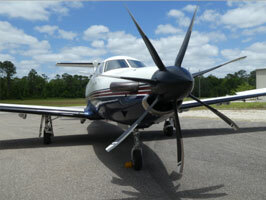 MT-Propeller is working with high priority for the worldwide propeller certification. The first OEM has already ordered the 7 bladed propellers for a new project. With more than 22,000 propellers systems and 74,000 blades in service, which have accumultated 150 millon flying hours, MT-Propeller will continue pushing the propeller powered airplanes. Worldwide, more than 210 STCs are available, 62 factory certified service center provide best service all over the world. 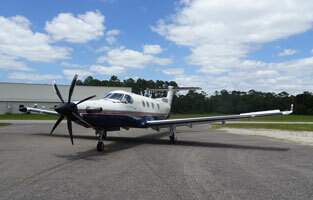 Watch the video of the first flight test of the seven blade MT-Propeller on the Piper Cheyenne. Depending on propeller driven airplane designs, top speeds of up to 420 KTAS are realizable with such a installation.